We are so excited about this school year! Welcome back to Mitchell High School! 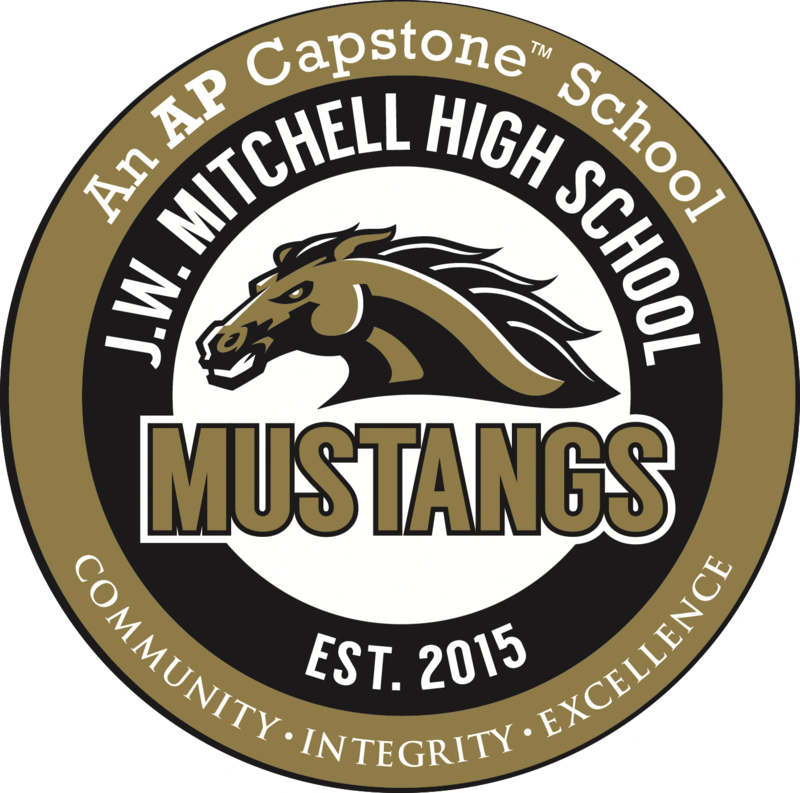 #Excellence is the foundation of #MustangNation and at Mitchell High School, we are #BuiltForExcellence! We are looking forward to each of you doing your best each and every day to contribute! Tomorrow is the first day of school, and we invite you to review our Twitter feed and Facebook page, as well as the website for our bell schedule. School starts at 8:30AM and will end at 2:55PM each day. Please dress your best and in dress code to start off the year on the right hoof! As you come to school tomorrow, if you drive, please park in your assigned spot only. Do not drive to school if you do not have a spot to park. You will need to see Mrs. Cortier. Please follow the speed limit and the signs in the parking lot as to the direction of the traffic flow. When entering campus, you will find that each of your names can be found posted. These lists are on all of the building commons area windows, as well as in student services in the main office. Next to your name is a classroom number and teacher name which is your Homeroom RANCH class where your correct schedule will be. DO NOT use the schedule from Orientation Day, as we have made changes to balance classes and correct schedules. You will NOT be able to go back to that schedule, but will need to use the schedule provided Monday morning. Should there be an issue with your schedule, we will be reviewing requests and calling students beginning Thursday. For those who have requested to see their school counselors, for the first two weeks of school we ask that you are patient as we register new students and systematically review schedule issues and change requests. We anticipate that we will be able to serve everyone faster this way. Again, please be patient. Of note, if you have an eSchool class, on campus or off campus, please sign up for your classes as soon as possible. If you have an off-campus placeholder 1st period, we ask that you come to school tomorrow in the morning, as well as on Tuesday and Wednesday to receive important information. During Homeroom RANCH you will receive important paperwork that you need to return by Tuesday. This includes the EMERGENCY CARD and HEALTHY STUDENT FORM. Even if you believe you have completed this information, we ask that you complete it again. The Healthy Student form is for those who would like to receive over the counter medication such as cough drops and Tylenol from our clinic during the school day. We have also included a number of informational flyers, including a welcome backmessage, important dates, ways to connect with us, our bell schedule, reminders about the parent dance meetings, yearbook and picture information, and grade-level guidance information. Please review this information as it will answer many of the questions that you may have as we begin the year. If you want to pay school fees, we would invite you to go to our bookkeeper’s office in the Main Office or pay online via ACORN. Breakfast will be served each morning until 8:25AM when the warning bell will sound. If you need to put money on your lunch account, you can do so at this time. Please arrive in your classes on time each day, as being on time is important now and in the future. Any drink containers or food wrappers need to be disposed of in our commons area garbage cans and not classroom garbage cans. Please take pride in your school and keep it clean! We have many more exciting things going on throughout this year. Best of luck to all of our fall teams as they begin their seasons, and our Marching Mustangs who will be there to drum up Mustang Spirit with our Stang Gang! To celebrate the first day of school, head on over to Bahama Bucks on Monday for the Back to School Bash! This fundraiser will support the Class of 2020! We hope that this is your best year yet! We look forward to see you tomorrow!